Mizkan, a closely held rice-vinegar maker, is buying Unilever’s U.S. Ragu and Bertolli brands for $2.15 bln. Paying 3.6 times sales in the mature pasta-sauce market looks rich. For the Japanese buyer, the flavour is sweetened by low rates and a shrinking domestic market. Privately held Mizkan, which will acquire two U.S. production facilities as part of the deal, said the purchase would help it “develop a more balanced global operation” and said there would be synergies with its existing U.S. business. The 210-year-old company is funding the deal through a new fully committed financing facility. 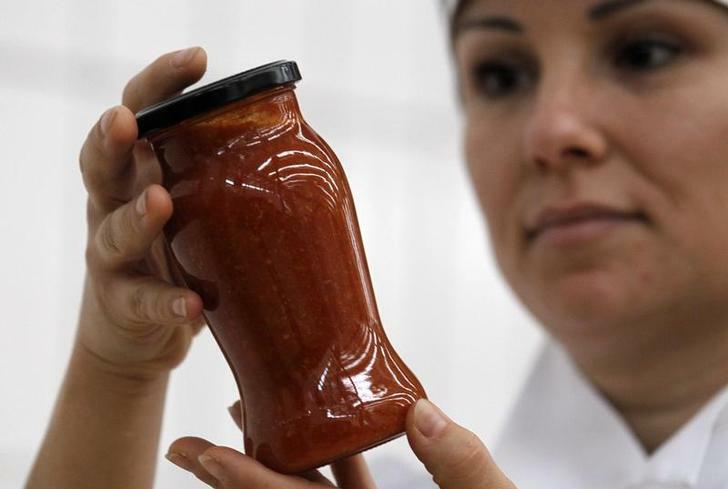 In March, Bloomberg, citing people with knowledge of the matter, reported Unilever had contacted companies including HJ Heinz, Kraft Foods and Pinnacle Foods about a sale of Ragu. Ranked by 2012 sales, Unilever is the world’s third-biggest fast-moving consumer goods company, according to OC&C, behind Nestle and Procter & Gamble. In recent years it has sold a slew of food businesses including Wish-Bone Italian dressings and Skippy peanut butter.